’25 Days in November’ is based on a work made by Hans Citroen (To understand this work one should know that Citroen is the Dutch word for Lemon). Citroen told me that he’s made a ‘Canvas-Repaint’ too once; a canvas that he’d painted white every singel day for one year. I liked this concept, and told him that, one day, I would steal this concept; he didn’t mind. 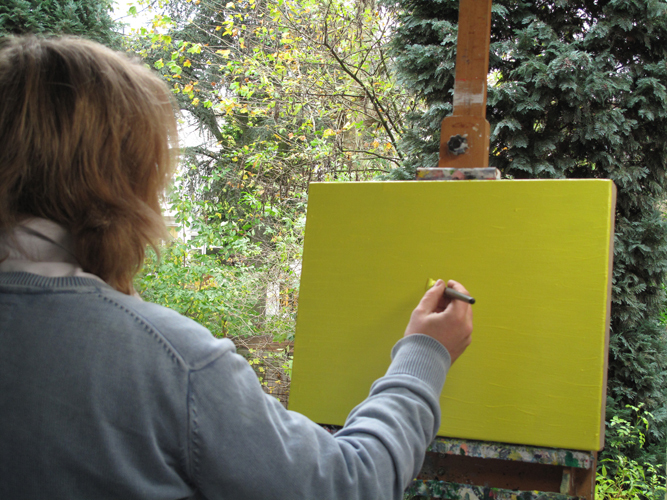 As a tribute to this work and towards Hans Citroen I made the work ‘25 Days in November’; a canvas which I painted Lemon every singel day for 25 days in a row.